Mrs. Abha Singh of Aashray for Sick and Helpless Animals successfully hosted yet another Animal Birth Control Camp, organized by Varanasi for Animals and funded by Help Animals India, with the kind assistance of HOPE and Animal’s support. We successfully spayed or neutered 21 female and two male dogs in these two days. All the dogs recovered well and were released back to their respective territories. One female community dog was brought by a school parent! 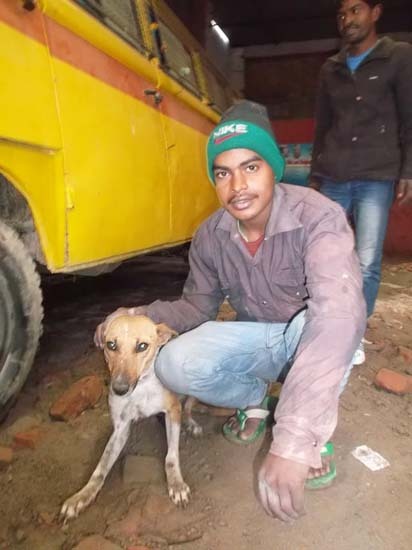 Besides 23 ABC’s the vet also performed an eye operation for a “cherry-eyed” dog, who had been suffering for a long time, in front of Mrs. Abha Singh’s house. A Jersey cow had her tibia (hind leg) broken, and she was lifted up with the help of straps and iron pipes along a tree. Thanks to the school staff of Mrs. Singh, around twelve persons slogged for two to three hours to lift the 300 kilogram cow with straps and to rest her midriff on tables with a thick mattress. She is receiving a lot of massage and medication. We pray that she survives this long phase, that her bones reconnect well, and that she’ll be able to get back onto her four legs. 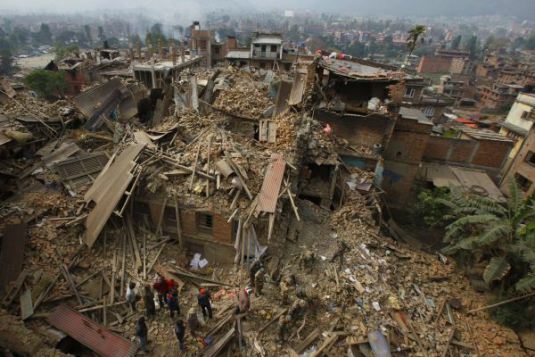 The earthquake that struck Nepal on Saturday April 25 has left a trail of devastation. Apart from hundreds of thousands of people, countless animals are affected too. Animal Nepal launches an Emergency Appeal to respond to the crisis. Your help in this hour of need will be greatly appreciated. Donations can be send here. The New York Times had a recent op-ed article on how Cuba’s isolation from the U.S. has helped preserve it more thickly forested areas and resulted in it being less polluted than other Carribean Islands. One of the challenges of a loosening or U.S. restrictions will be preserving Cuba’s wild areas and wildlife. Cuba has over 300 bird species including the world’s smallest bird the Bee Hummingbird, a pygmy owl and one of the world’s smallest frogs. The two Castro brothers have protected large areas of the island by establishing government-run parks. Read article at Cuba’s Wildlife on Notice – NYTimes.com. Earth Day -2015 – Plant A Tree…. Protect Our Home, Our Earth and All those WHO SHARE IT WITH US…..
Back when I wrote about our ascent of Blue Mountain Peak, I mentioned that the Rufous-throated Solitaire is a bird that can be pretty tough to spot. In that prior post, I had a picture of the same individual featured in the video above. If you turn the volume up, you can hear all the shrill details of the bird’s call, and imagine sounds like those echoing through the misty hills — the guidebook to Jamaican birds actually describes the vocalizations as “ventriloquial,” which we found to be accurate.